Voters in Cannock Chase District went to the polls on 3rd May when 13 seats out of the 41 seats making up the Council were up for election. This involved 13 of 15 Council Wards. There were no elections held in Hednesford South and Hagley Wards on this occasion. 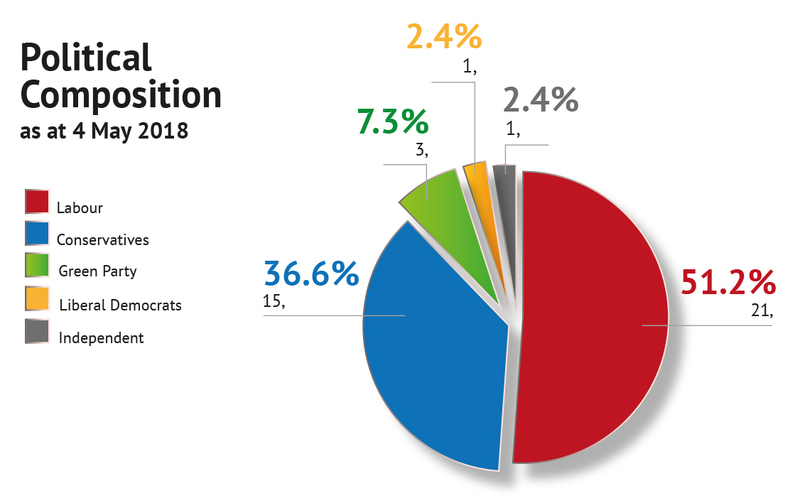 As the Council’s political composition graphic shows, the Council remains under Labour control (who hold 21 of the 41 seats). The Council elects by `thirds` which means it holds elections in three out of every four years. The next District Council Elections will be held in May 2019. To see documentation and information relating to the Cannock Chase District Elections 2018 please see documentation relating to this election.